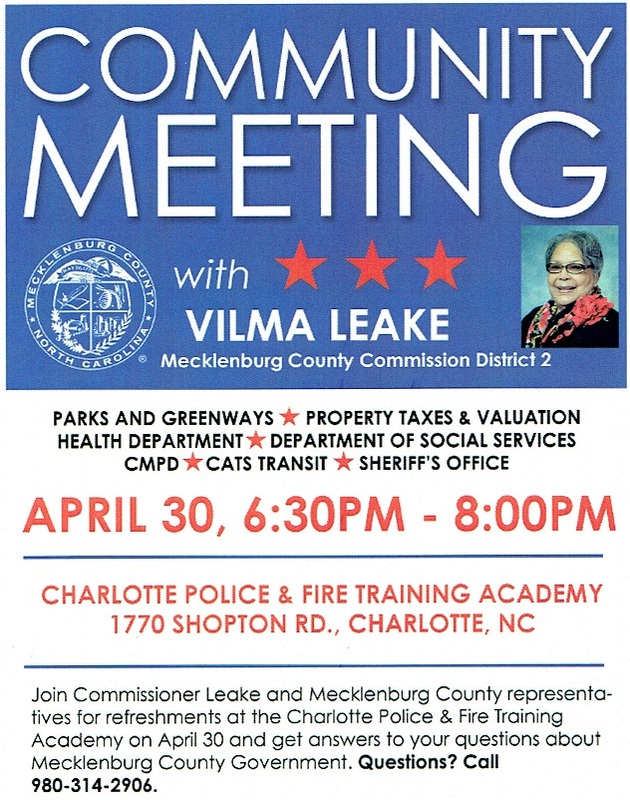 (April 25, 2015) Mecklenburg County Commissioner Vilma Leake will be hosting a community meeting at the Charlotte Police and Fire Training Academy at the corner of Shopton Road and Beam Road in Steele Creek on Thursday, April 30 beginning at 6:30 PM. Commissioner Leake and representatives of various county government agencies will be available to answer your questions about county government services. Commissioner Leake represents District 2 on the Mecklenburg County Board of County Commissioners. District 2 includes all of Steele Creek except Precincts 122 and 229 along the South Carolina border.